Long before the first Hebrew temple, before the birth of Christ or the mission of Muhammad, there lived in Persia a prophet to whom we owe the ideas of a single god, the cosmic struggle between good and evil, and the Apocalypse. His name was Zarathustra, and his teachings eventually held sway from the Indus to the Nile and spread as far as Britain. Following Zarathustra's elusive trail back through time and across the Islamic, Christian, and Jewish worlds, Paul Kriwaczek uncovers his legacy at a wedding ceremony in present-day Central Asia, in the Cathar heresy of medieval France, and among the mystery cults of the Roman empire. He explores pre-Muslim Iran and Central Asia, ultimately bringing us face to face with the prophet himself, a teacher whose radical humility shocked and challenged his age, and whose teachings have had an enduring effect on Western thought. The result is a tour de force of travel and historical inquiry by an adventurer in the classic tradition. Long before the first Hebrew temple, before the birth of Christ or the mission of Muhammad, there lived in Persia a prophet to whom we owe the ideas of a single god, the cosmic struggle between good and evil, and the Apocalypse. His name was Zarathustra, and his teachings eventually held sway from the Indus to the Nile and spread as far as Britain. 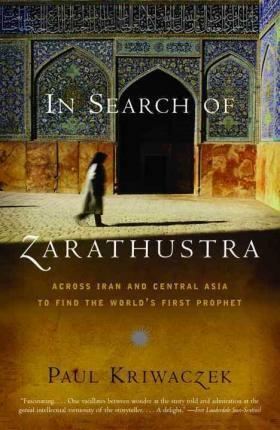 Following Zarathustra's elusive trail back through time and across the Islamic, Christian, and Jewish worlds, Paul Kriwaczek uncovers his legacy at a wedding ceremony in present-day Central Asia, in the Cathar heresy of medieval France, and among the mystery cults of the Roman empire. He explores pre-Muslim Iran and Central Asia, ultimately bringing us face to face with the prophet himself, a teacher whose radical humility shocked and challenged his age, and whose teachings have had an enduring effect on Western thought. The result is a tour de force of travel and historical inquiry by an adventurer in the classic tradition. Paul Kriwaczek was born in Vienna in 1937. At the age of two he fled Vienna and the Nazi threat with his parents, eventually arriving in England. After qualifying as a dental surgeon in 1962 and traveling extensively in Asia and Africa-including a two-year stint as the only European dentist in Kabul-he joined the BBC as a specialist in Central and South Asian affairs, and then BBC Television as a producer. He took up writing full-time in the 1990s. He lives in London.